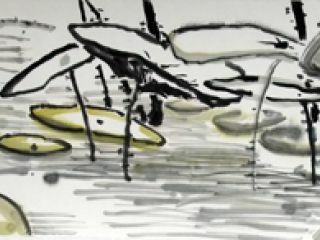 The use of Chinese ink is distinctive in the artist’s works, with characteristics - such as the transience of stroke, the involvement of negative space as composing elements of the image itself, and the achievement of gradient through degrees of saturation- transmuted to an entirely contemporary perspective. 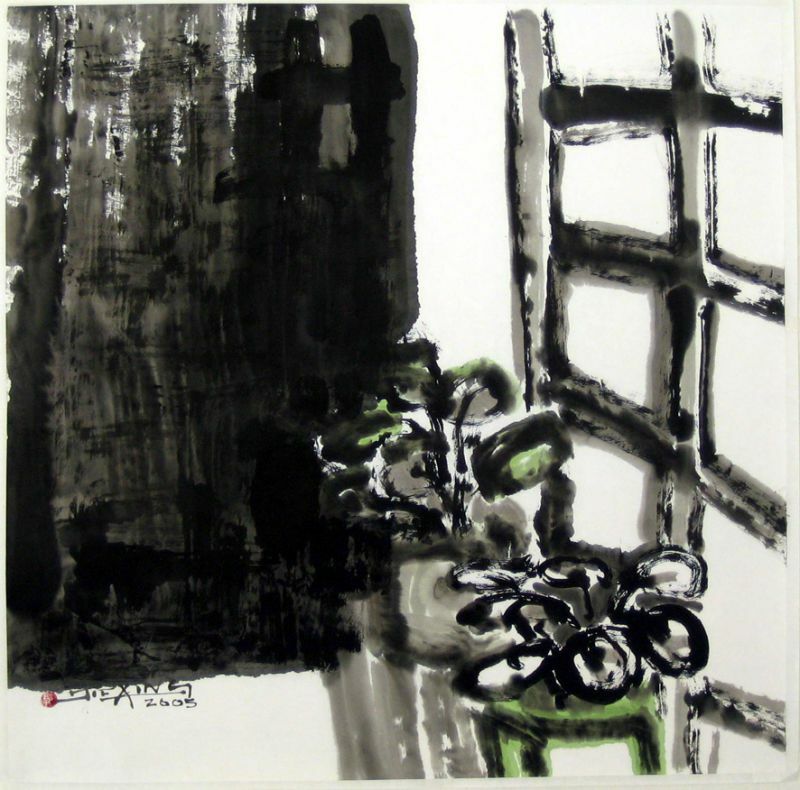 The image of potted plants by the window is thus, taken beyond its conceptual into a differential study of technique. 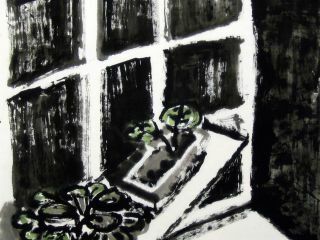 I'm interested in this Esplanade, African Violet by the Window no. 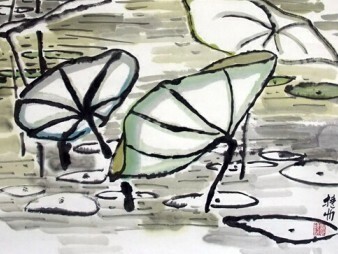 3 by Quek Kiat Sing . Please advise availability and price. Thank you. 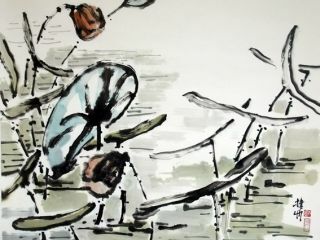 Born in Singapore in 1972, Quet Kiat Sing uses ink as her weapon of revelation, committing every day sights into artistic memory and refurbishing them into poetic expressions of aesthetics. 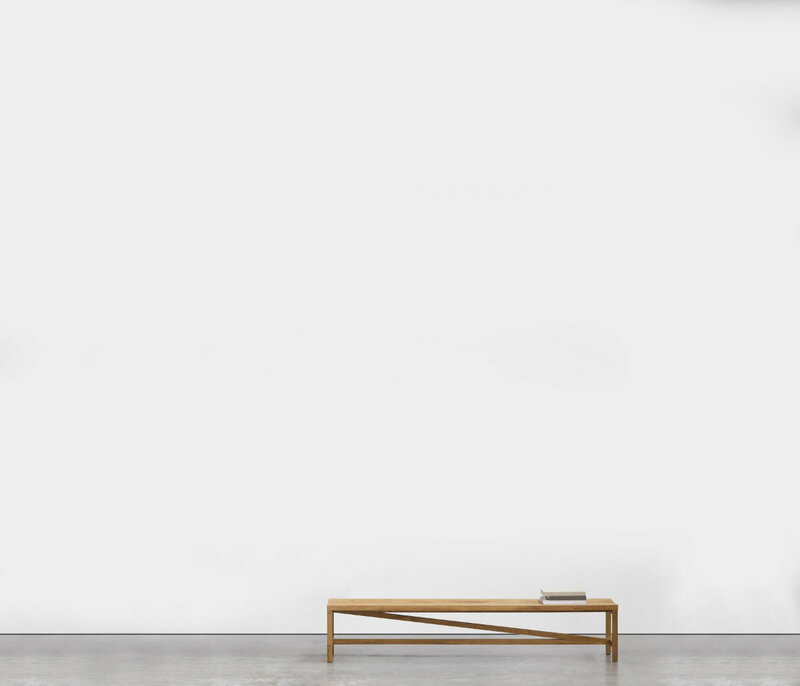 With work spanning subjects such as still life to the understated magnificence of nature’s flora and fauna, the artist has even covered nudes and human movement as celebrations of the complex ethereal beauty present in the most simple of representations. 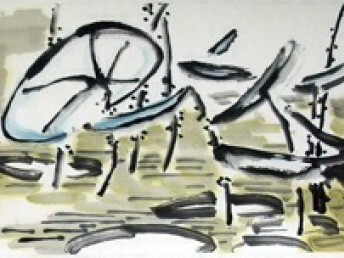 Conceptually, the artist’s work is intricately multifaceted; apart from turning the mundane into a celebration of deserved highlights of beauty, the artist is also a staunch environmentalist, choosing her subjects not only for their understated beauty but for their forgotten relevance in the modern world, where nature is often overlooked in the rush for development. Seeking to speak out to her generation and beyond, the artist instigates an awareness with her works, imprinting onto the viewer’s mind the importance of their overlooked counterparts in the world today.